Can we stop bad-mouthing CSS in developer talks, please? Peter Griffin aka Family Guy trying to make some blinds close and making a total mess of it, randomly dragging the cords until he gives up and rips them off the window. With the caption CSS. Here’s the thing: I am sick of this. It is not clever, it is not based in fact and it makes us appear as arrogant know-it-alls that want everything to work the way we are used to. It drives a firm divider between “developers” and “people who do web stuff”, aka “not real developers”. Which is nonsense. Arrogant, dangerous nonsense, not helping us – at all – to grow our developer community and be more exciting for a new, diverse, crowd to join. Here’s a fact: we build incredibly complex, exciting and beautfiful things on the web. The most democratic distribution system of information and – by now – a high fidelity and exciting software platform. If you think you know every facet of this, you can do it all without relying on other experts to work with you, and in the one technology you like, you’re blinded by your own ambition. And an arrogant person I really could not be bothered to work with. Yes, it is easy to poke fun at CSS and it’s Frankenstein-esque syntax. It is also easy to show that you can do all the things it does with other technologies. But that gives you no right – at all – to belittle and disregard the people who like CSS and took it as their weapon of choice to build great user interfaces. In other words: if you don’t like it, don’t use it. Work with someone who does like it. It is a self-fulfilling prophecy that when you use a technology that you don’t take serious and you don’t like, the end result will be bad. It is a waste of time. When you complain about the issues you faced because you want the technology to bend to your comfort zone’s rules you really complain about your failure to use it. It doesn’t apply to those who happen to like the technology and play it to its strengths. The joke here is that CSS is inadequate to fix that problem of overflowing text. Well, my question is how should that be handled? Overflow with scroll bars? 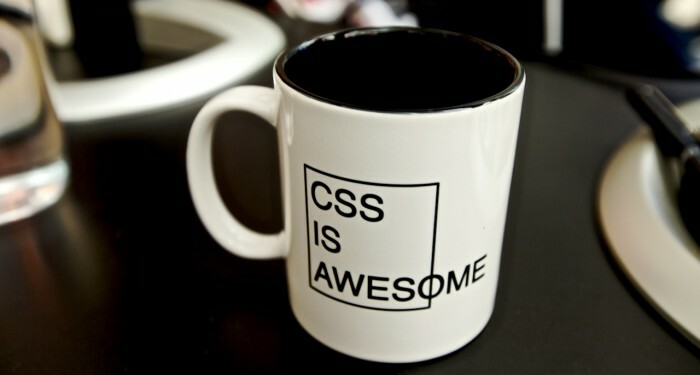 That’s possible in CSS. Cutting the text off? Also possible. Shortening the text followed by an ellipsis? That’s also possible. Are either of those good solutions? No. The main thing here is that the text is too big to fit the container. And a fixed container is a mistake on the web. You can’t fix anything in an environment that by definition could be any size or form factor. So the mistake here is a “fixed container” thinking, not that CSS doesn’t magically do something to the text you can’t control. This, in interfaces, would really get you into trouble. I challenge anyone to look at the mind-boggling things Ana Tudor does with CSS and tell me that’s not “real programming” and based on a “stupid language”. See the Pen cube broadcast (pure CSS) by Ana Tudor (@thebabydino) on CodePen. Zoe Mickley Gillenwater | Flexbox | CSS Day from Web Conferences Amsterdam on Vimeo. I challenge you not to be baffled by the beauty of using type and shapes to build complex layouts that are not hindered by a fixed pixel thinking as explained by Jen Simmons. SmashingConf Freiburg 2016 – Una Kravets on Practical Blend Modes from Smashing Magazine on Vimeo. So next time you think about using “the CSS joke”, please understand that people who care do not try to colour some text. CSS is a very expressive language to build complex interfaces that cater to a lot of varying user needs. If you can’t get your head around that – and I am admitting that I can’t anymore – have the decency to not belittle those who do. Applaud them for their efforts and work with them instead.